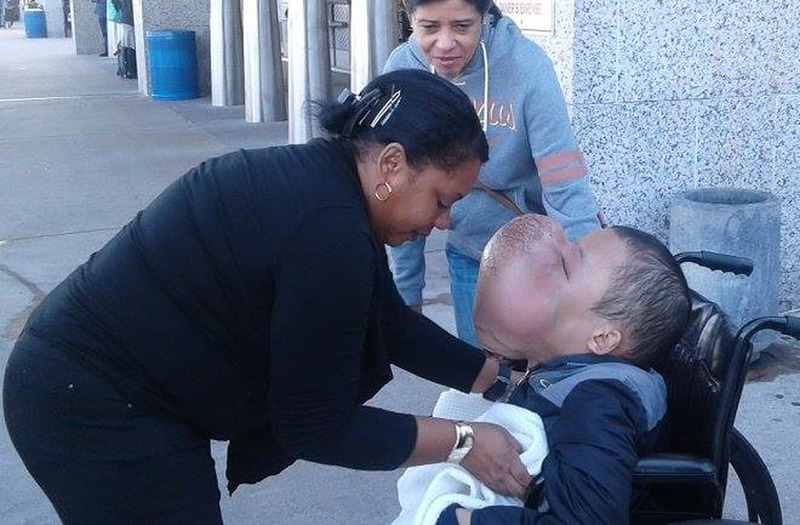 A Cuban boy who underwent surgery last week to remove a 10-pound tumor from his face died in a Miami hospital on Friday, one of his physicians has announced. Emanuel Zayas, 14, suffered from a rare medical condition called polyostotic fibrous dysplasia, an illness which causes the body to replace portions of bones with soft tissue. According to the Miami Herald, the tumor on Emanuel's face started out as a pimple on the left side of his nose when he was 11 years old. However, the boy's father said that the "pimple" continued to grow into a basketball-sized tumor that eventually eclipsed his son's face. The boy and his parents, Noel Zayas and Melvis Vizaino, flew to Miami in November on humanitarian visas for a consultation with Dr. Robert Marx, the chief of oral and maxillofacial surgery for the University of Miami Health System who was connected with the family by U.S. missionaries. Dr. Marx decided that the best course of action was to remove the tumor because, although it was benign, it weighed so much that Emanuel was at risk of suffocating to death or even breaking his neck under the weight of the massive growth. On January 13, Emanuel underwent surgery at the Holtz Children’s Hospital at Jackson Memorial in Miami to remove the 10-pound tumor and, at first, the procedure seemed to have been a success. A few days later, however, Emanuel's condition took a turn for the worse. The 14-year-old's kidneys and lungs began to fail and his physicians were ultimately unable to save him. Dr. Marx took to Facebook on Friday night, first to provide an update on Emanuel's condition and then later to confirm his passing. "After visiting Emanuel last night and observing a glimmer of hope from pupillary reflexes and facial muscle tone, I was informed this morning that he took a serious turn for the worse," wrote Dr. Marx. "His condition has deteriorated with kidney and lung failure that the best of ICU cannot keep pace." "Our hopes of saving his life and in doing so would allow him a better quality of life have not been realized," he continued. "I am personally saddened but want to thank all of you for your well wishes and prayers." Dr. Marx said that the boy's family decided to donate his body to science in order to help researchers learn more about their son's condition and hopefully help others affected by the disease.